Wednesday, October 18, 2017 by: Isabelle Z. (Natural News) A new plan by the Hertfordshire clinical commissioning groups (CCGs) of the U.K.’s national health care system, the NHS, will deny surgery to patients who are obese and those who smoke. Not surprisingly, the news is being met with some heated debate on the part of patients as well as doctors. The new plan would force patients to lose weight or quit smoking before they can undergo non-urgent surgery in the most extreme restrictions to hit the NHS. The Royal College of Surgeons is calling for an “urgent rethink” of these policies, which they said are discriminatory and go against the NHS’s fundamental principles. On one side of the debate, it can be argued that it is unfair for taxpayers to foot the bill for people who make the choice to destroy their body by smoking or packing on the pounds. Obesity-related illnesses cost the system a lot of money, and it’s understandable that they’d want to do all they can to keep preventable illnesses to a minimum. At the same time, however, smokers and obese people in the U.K. pay the same taxes as everyone else and therefore feel they deserve equal access to treatment. In the U.K., 22 percent of adults are considered obese and 15 percent of the population smoke. Under the new criteria, those who smoke will only be referred for operations after they have given up cigarettes for a minimum of eight weeks. Breathalyzers measuring their carbon monoxide levels will be used to verify they’ve kicked the habit before getting referred. CCGs already delay surgery for as long as nine months for people who have a high BMI, asking them to lose 10 percent of their weight before going under the knife. The new rules, however, see those with a BMI over 40 being required to reduce their weight by 15 percent and those with a BMI over 30 but less than 40 needing to lose 10 percent of their weight in nine months. Once that period has passed, a clinical panel will consider whether or not to operate on patients who fail to lose the required weight, which may be allowable if waiting longer would be harmful. According to the CCGs, 85 percent of people said that smokers should have to quit before being referred in a public consultation. At the time of this writing, an informal poll by the Telegraph of nearly 9,000 people showed that 57 percent believed patients need to take some responsibility for their health, while 43 said the NHS’s duty is to treat every patient equally. It’s important to note, of course, that this only applies to surgery that is not deemed urgent; no one is going to be denied life-saving treatment based on their weight or smoking habits. It mostly pertains to operations like hip and knee replacements, and it’s easy to see how extra weight could make such operations more complicated. 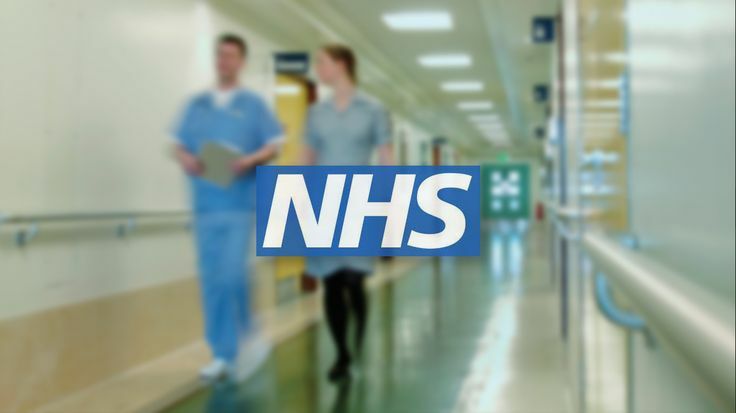 The NHS is using the situation as an opportunity to help people with unhealthy habits make changes that could improve their health for many years to come and also boost their chances of recovery after their operation. The CCGs have said that they are not expecting the new measures to save any money; instead, they are geared at improving people’s long-term health. They pointed out that patients will be able to take advantage of free help with weight loss and quitting smoking. The Royal College of Surgeons’ Senior Vice President, Ian Eardley, is not convinced. He said that singling out patients is wrong and although supporting them in losing weight or quitting smoking is positive, it should not be a prerequisite for getting surgery.